Many neurological conditions cause problems with thinking properly. These are called cognitive problems, and can include having trouble with your memory and concentration. Sometimes this kind of problem is known as 'brain fog'. 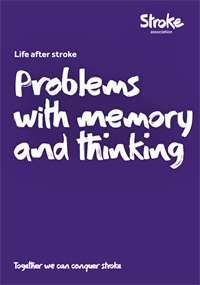 Visit our Information Centre to read the Stroke Association's booklet Problems with Memory and Thinking.